“In the future, China needs to accelerate the pace and improve the level of its opening-up, which is not only in China's interests, but will provide more opportunities for countries around the world,” Ding said, adding that China has deeply integrated itself into the current international system thanks to its reform and opening-up policy. “China is both a beneficiary and a defender of the international trading system,” a senior economist with the International Monetary Fund (IMF) told the People’s Daily, adding that China’s efforts on upholding multilateral trade system reflect a win-win strategy. 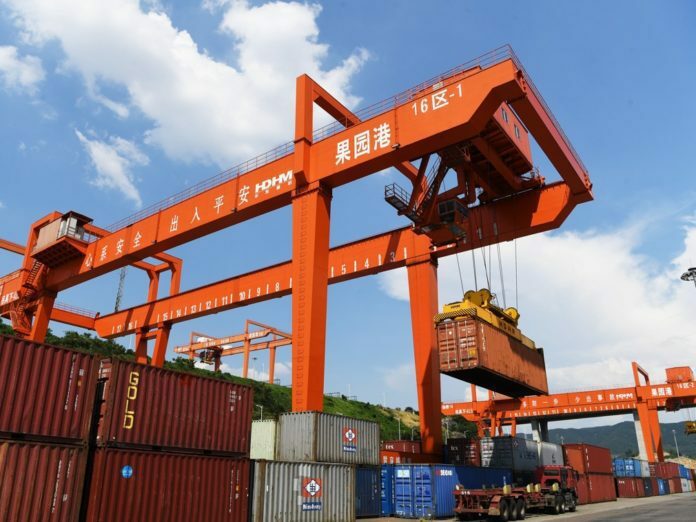 The IMF, in its latest world economic outlook report, said the recent US tariffs and its planning policies will more than likely escalate trade tensions and have an adverse effect on confidence, asset prices, and investment. Escalating and sustained trade conflicts following US tariff actions threaten to derail economic recovery and depress medium-term growth prospects, the report warned. IMF officials will closely monitor the situation, said Ding Ding, a senior economist with IMF’s Asia and Pacific Department. “We hope relevant countries avoid using unconventional measures and should conduct trade cooperation under an open, rule-based multilateral system to defuse trade tensions,” the economist added. The development of international trade and multilateralism over the past decades has benefited the majority of countries, Ding pointed out, lauding that China, as a beneficiary as well, has gone to great length to maintain multilateral order, and especially so since first joining the World Trade Organization in 2001. The IMF concluded in its latest outlook that the widespread political malaise driving many current policy risks, including on the trade front, has roots in several countries’ experiences of non-inclusive growth and structural transformation. Given these challenges, the multilateral body called on countries to resist inward-looking thinking, uphold multilateral trading system, seek more balanced global economy, and devote to financial stability. As an expert who has followed and studied the Chinese economy for years, Ding highly affirmed China’s efforts to shift its economic focus from high-speed growth to high-quality growth. This means that China no longer blindly pursues speed and quantity, but seeks to achieve more sustainable, inclusive and green growth, he explained. Although China’s economic growth has slowed down in recent years, the momentum of development is still strong and there is still a lot of room for growth, according to the economist, who added that China’s contribution to global economic growth will remain at a relatively high level, about 30 percent. “The IMF appreciates the progress China has made in economic reform over the past few years,” Ding said, citing examples of how China has effectively reduced financial risks, reduced reliance on credit for economic growth, and made positive progress in addressing overcapacity and curbing pollution. In terms of financial regulations, Ding illustrated the committee the State Council established last year to oversee financial stability and development is very effective measure. Ding said that “both China and the world have benefited” from China’s reform and opening-up in the past four decades. “China’s own success is unprecedented and its development from one of the world’s poorest countries to the second largest economy in the world, along with its success in lifting more than 700 million people out of poverty, is a remarkable achievement,” he elaborated, adding that China has also become a vital growth engine driving world economic recovery and growth, especially in the wake of the international financial crisis. He further pointed out that if China’s goal of eliminating absolute poverty by 2020 can be accomplished as scheduled, it will be another amazing achievement in the history of human development. “In the future, China needs to accelerate the pace and improve the level of its opening-up, which is not only in China’s interests, but will provide more opportunities for countries around the world,” Ding said, adding that China has deeply integrated itself into the current international system thanks to its reform and opening-up policy.